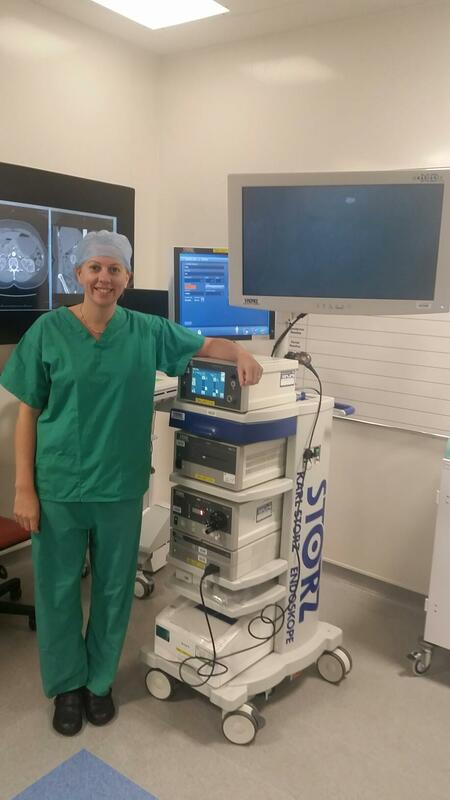 The St George's Kidney Patients Association is pleased to announce the donation of a Laparoscopic Stack to the St George's Renal Transplant team for use in their Live Donor Programme. This is largest single donation made by the charity for many years and the stack is a critical tool in the removal of kidneys from a live donor. What is a Laparoscopic Stack? 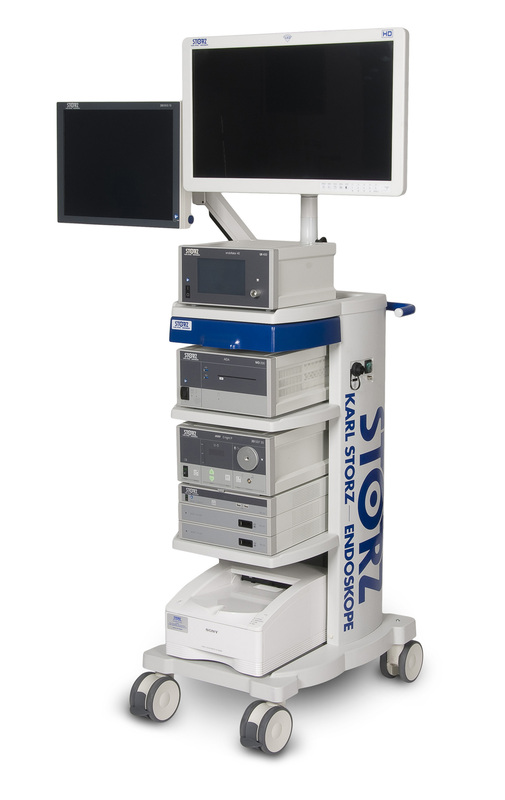 A Laparoscopic Stack is a collection of equipment used in the performance of Laparoscopic surgery. more comfort for the patient - heated gas to inflate the abdomen rather than cold gas that chilled and meant it took a patient longer to wake from the anaesthetic. Please find attached a letter from the Live Donor Clinical Lead, Consultant, Sarah Heap. Click the image for the full wording. The Live Donor Programme was begun in 2005 by Mr Fronek, and now, under the clinical leadership of Ms Sarah Heap performed 44 operations in 2015 and hopes to reach 50 this year. As of November 2016, The unit has undertaken 505 live donor transplantations using the previous equipment (also donated 11 years ago by the St George's KPA). *= The median is the middle point of a number set, in which half the numbers are above the median and half are below. A number of legacy donations left in patient's wills.